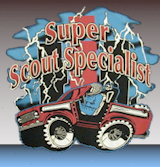 22nd Annual Scout & Light Truck Nationals 2011 BUMPER STICKER Limited Edition. Limited number available!! While Supply lasts! 22nd Annual Scout & Light Truck Nationals 2011 Event Program Limited Edition. Highly collectable, 40 pages of vintage ads, articals, and show stuff. 22nd Annual Scout & Light Truck Nationals 2011 HAT Limited Edition. 23rd Annual Scout & Light Truck Nationals 2012 Event Program Limited Edition. EXTREMELY Limited number available!! While Supply lasts! These will not be discounted later, so get em while you can. 24th Annual Scout & Light Truck Nationals 2013 Event Program Limited Edition. Black or Red only available. Blue is out of stock. Black or Red only available. The following links will take to our Custom Build it for me Apparel Center! THESE WILL BE GONE WHEN STOCK IS OUT! SCOUT ! AN Official American Icon! Bumper Sticker Decal ! Celebrate and let them know how proud you are of these Legendary Vehicles! With these cool bumper stickers which are IN STOCK NOW! 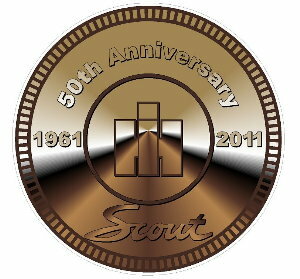 50th Anniversary Scout Christmas Ornimate !! Limited Supply! !